What makes a room full of real estate brokers happy? Record-breaking sales! 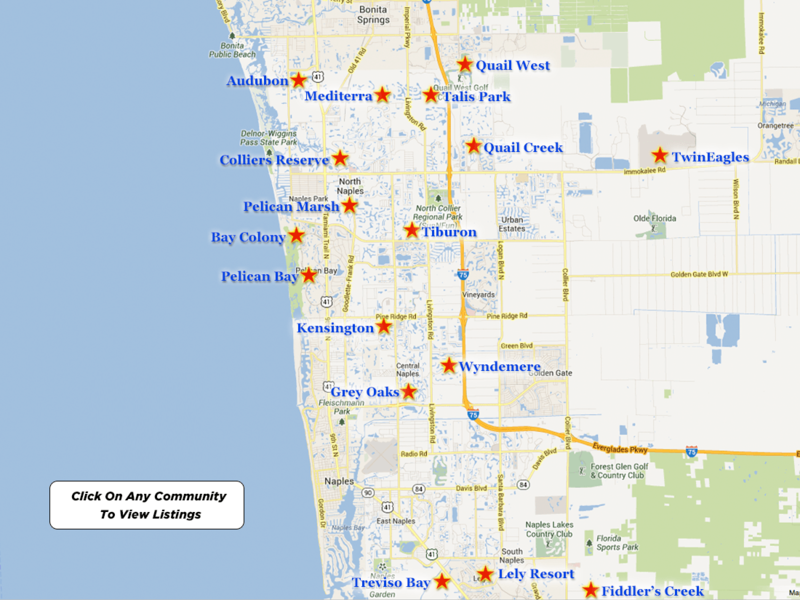 This realization surfaced during a recent meeting where 10 NABOR® brokers reviewed the April 2015 Market Report released by the Naples Area Board of REALTORS® (NABOR®), which tracks home listings and sales within Collier County (excluding Marco Island). The report showed that traditional sales comprised 94% of all closed sales as compared to non-traditional sales (foreclosures or short sales). April was a remarkable month for the real estate market with notable results in pending sales (properties under contract) of condominiums in the $2 million and above price category, which saw a 58 percent increase from 12 pending sales in April 2014 to 19 pending sales in April 2015. Relative to this increase was an increase in the same category’s inventory, which rose by 74 percent from 34 condos in inventory in April 2014 to 59 condos in inventory in April 2015. Further, the April 2015 Market Report indicated that overall closed sales had positive gains in all price categories above $300,000 with the $300,000 to $500,000 category capturing the highest gain – 21 percent from 1,787 in the 12-months ending April 2014 to 2,162 in the 12-months ending April 2015. The overall median closed price increased 13 percent in April from $250,000 in the 12-months ending April 2014 to $283,000 in the 12-months ending April 2015. This was fueled mostly by activity on both ends of the price spectrum. Homes in the $0 to $300,000 price category experienced a 10 percent increase in median home price from $168,000 in the 12-months ending April 2014 to $185,000 in the 12-months ending April 2015, while homes in the $2 million and above price category experienced a 9 percent increase in median home price from $2,900,000 in the 12-months ending April 2014 to $3,175,000 in the 12-months ending April 2015. According to Cindy Carroll, SRA, with the real estate appraisal and consultancy firm Carroll & Carroll, Inc., “We can see some real trends when we look at the market with an historic comparison. For example, in the fall of 2013, the median closed price for single-family homes in the $0 to $300,000 price range increased 18 percent. 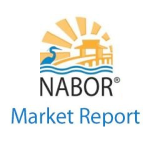 The NABOR® April 2015 Market Report provides comparisons of single-family home and condominium sales (via the Southwest Florida MLS), price ranges, and geographic segmentation and includes an overall market summary. • Overall pending sales decreased 2 percent from 1,231 in April 2014 to 1,210 in April 2015. • Overall closed sales remained flat with no increase or decrease reported on a 12-months ending basis. • Overall closed sales in the $300,000 to $500,000 price category increased 21 percent from 1,787 homes in the 12-months ending April 2014 to 2,162 homes in the 12-months ending April 2015. • Overall median closed price increased 13 percent from $250,000 in the 12-months ending April 2014 to $283,000 in the 12-months ending April 2015. • Overall inventory decreased 3 percent from 4,157 homes in April 2014 to 4,040 homes in April 2015. • Inventory for single-family homes increased 4 percent from 2,206 single-family homes in April 2014 to 2,289 single-family homes in April 2015. • Inventory for condominiums decreased 10 percent from 1,951 condominiums in April 2014 to 1,751 condominiums in April 2015. • Average days on market decreased 28 percent from 99 days in April 2014 to 71 days in April 2015. “Overall, April 2015 had a 5.06-month supply of inventory compared to a 34.78-month supply in April 2007,” said Bill Coffey, Broker Manager of Amerivest Realty Naples. Many of the brokers who analyzed the April 2015 Market Report had recently returned from the National Association of REALTORS® Legislative Meetings & Trade Expo in Washington, DC, and concurred that sales activity in the Naples area, as also reflected in the report, is in line with the national average. 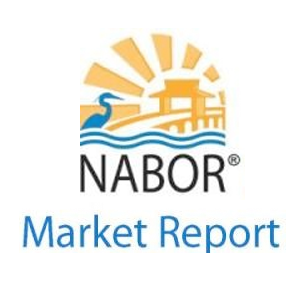 However, the April 2015 Market Report by NABOR® showed an 18 percent decline in the days on market to 76 days from 93 days a year ago. Yet according to a REALTOR® Confidence Index report published by Lawrence Yun, Senior Vice President and Chief Economist with the National Association of REALTORS®, the national average in March 2015 was 52 days.